Heanjia manufactures and supplies industrial scale Gas burners metal mesh for washing and drying equipments. 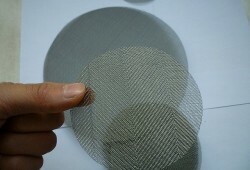 The original patent technology and pre-mixed mode of mesh ensures the secured gas air transmission. We offer high temperature resistant metal fiber felt for burner surface to ensure the exact radiation wavelength as per user’s needs. 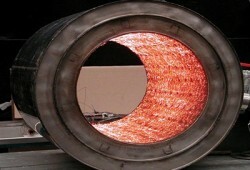 It allows to offer best heating effect. Exceptional characteristics offered by our gas burner mesh are: Precise combustion air, exact ratio of air and gas to achieve with the minimal energy consumption and maximum heating. 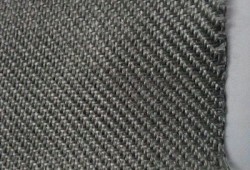 The mesh is suitable for performance in different gas media such as natural gas, liquefied gas, artificial gas and more. The mesh has solid and durable structure to prevent any accident while offering the maximum heating effects. It is made from the high temperature alloys to serve in the increasing service temperatures and is fit for the applications involving corrosive media.